A team of work colleagues from Poole based IT company, Codestone completed the infamous Tough Mudder challenge at Cirencester Park, Gloucestershire on Saturday 22nd August in aid of Julia’s House. 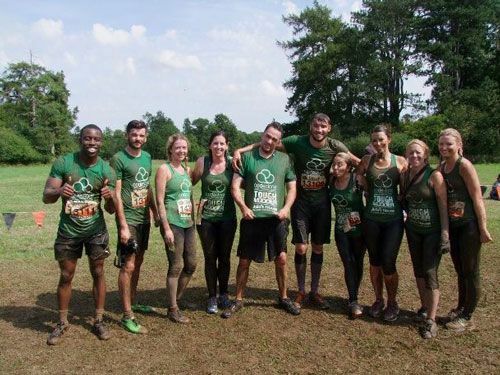 The challenge consisted of a twelve mile cross country mud run including twenty three arduous obstacles all culminating in the notorious “Electric shock therapy”. The mixed team of four men and six women, who ran in sweltering temperatures completed the course in just over three and a half hours. In total over £1500 was raised and sponsorship is still coming in.